They Work! Fortrans’s cleaning products work extremely well and are competitive or lower cost than corrosive acids in terms of overall cost. Reduce Waste – Two way air and water operated foaming system automatically dilute and apply product like shaving cream for long chemical dwell time and faster cleaning. Eliminate chemical run-off. For over a decade, Fortrans has provided the concrete industry and other businesses with first-rate, cost-effective cleaning products designed to save you time, energy, and expense. In addition to our process wastewater treatment and pH control systems, consult with Fortrans for cement mixing and concrete truck cleaners and sludge cleanup. 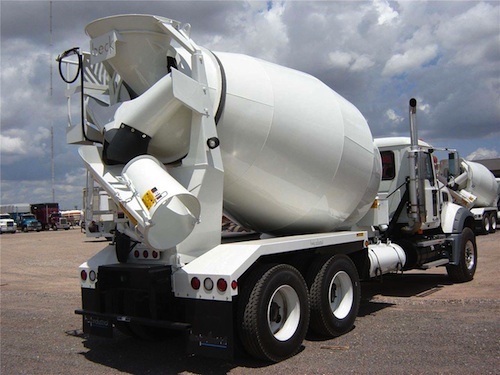 If you spot a sparkling cement truck, there is a good chance it has been cleaned using one of our non-corrosive truck cleaning products designed for drivers transporting ready-mix concrete and precast concrete. The chemicals in these products work incredibly fast to remove cement concrete and other soils such as grease and oil. They’re also biodegradable and environmentally safe. Order our truck cleaning products by contacting Fortrans, Inc. today at 866-958-7267. We can help you select the cleaning product that will be ideal for your truck!